Everything the discerning player needs to get started. 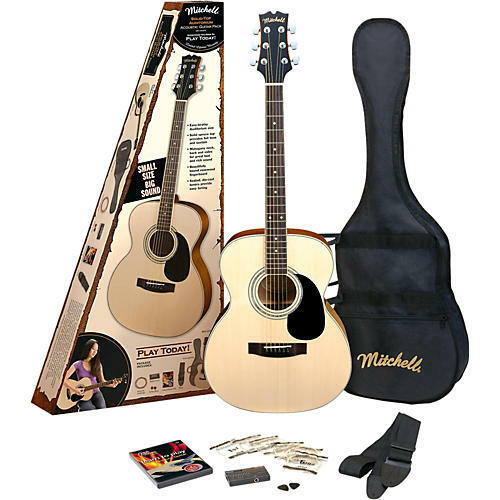 Mitchell's O120SPK Acoustic Guitar Value Package includes the O120S folk guitar, which features a mahogany back and sides, combined with a solid spruce top. The scalloped bracing and thinner finish provide big, satisfying tone. This premium solid top guitar package includes gig bag, strap, clip-on guitar tuner, instructional DVD, guitar picks and extra strings. It's everything you need to get started on musical adventure that will give pleasure for years to come.